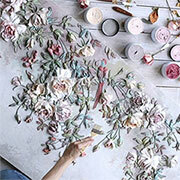 Evgenia Ermilova uses sculptural painting to create the most beautiful works of art, decorative pieces, decor accessories and wall panels. Every home deserves some greenery, and home decor stores are filled with botanical-themed accessories that will bring the outdoors indoors. 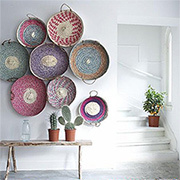 If you collect colourful and patterned plates, mix up your decor by adding unexpected elements to fill a blank wall. 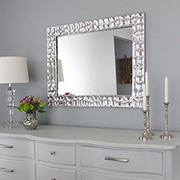 Use mirrors to brighten up a dim hallway, dark entrance, pokey bathroom or use them to visually enlarge a room or space. Buying art is a wonderful way of not only owning art that you love, but also filling your home with the joy these pieces bring. 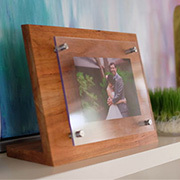 Make your own modern photo frame with wood offcuts and acrylic or glass sheets. 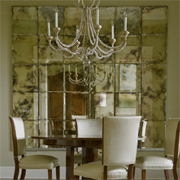 Mirrors can be used to reflect and bounce light around a room, create the illusion of space, or to let your living spaces shine. 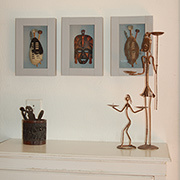 I have a large collection of African art and souvenirs that I pick up at craft fairs. To display these I wanted to make up some shadowboxes. Here's a way to make your own basic shadowboxes. Here's how to make your own letterbox picture or mirror frame - without using a mitre saw or router. 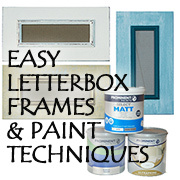 We offer 3 different paint techniques for making a letterbox picture or mirror frame. 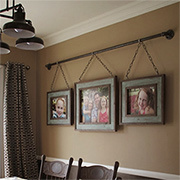 Use galvanised pipe and fitting to make a rustic picture gallery for a home. 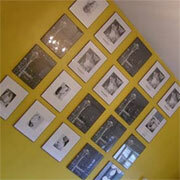 Easy to make, this galvanised pipe picture gallery looks wonderful with country, cottage or industrial decor. 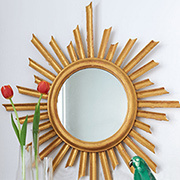 Here's a quick and easy way to turn a circular, framed mirror into a faux gilded sunburst mirror. 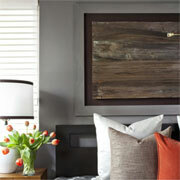 If your guest bedroom is looking a little lackluster, adding an eye-catching headboard will make all the difference. 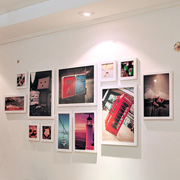 If you have a blank wall in your home and want to hang a creative picture gallery, we offer some tips on the best way to start a dynamic arrangement that can be added onto. 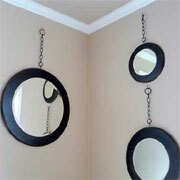 Here's how to transform a plain mirror into a romantic feature using lace and Rust-Oleum 2X spray paint. This Saturday we did a faux pewter workshop on request. 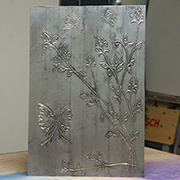 Quite a few DIY Divas have commented on my faux pewter wall art and wanted to know how to make their own. 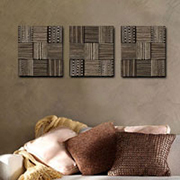 Fill boring blank walls with interesting objects to create a focal point or feature wall and add personality to a room. 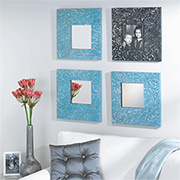 In this project we make the picture frames themselves a feature by covering them with art paper. 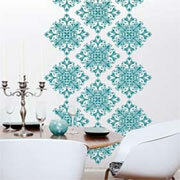 You can substitute this with handmade paper, scrapbooking paper, or even wallpaper. 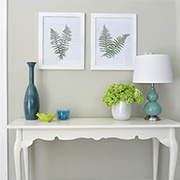 Bring a dash of nature indoors with a few fern fronds and inexpensive frames and add a unique feature to a plain wall. 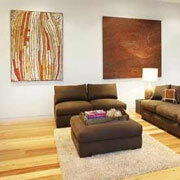 Filling up a blank wall behind a sofa, or creating art for a feature wall, can be expensive if you have to buy. 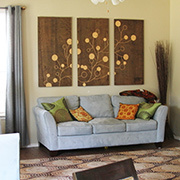 We show you how to use affordable plywood, a Dremel Multitool and Woodoc stain and wax to make your own wall art. 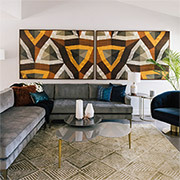 Every home needs art in one form or another, and we show you how to make a bold statement with large format frames for art, posters or enlarged photos. If you enjoy using a router for projects, or are looking for a project to practice your router skills, this ornamental mirror frame is ideal. 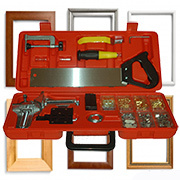 For anyone who enjoys DIY projects like making picture frames, the Tork Craft Picture Framing Kit is a great gift to give or receive. 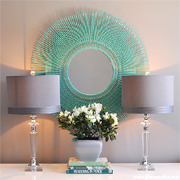 Bought for over R1000, you can easily make this beautiful mirror at a fraction of the cost with a few materials and supplies that can be found at your local Builders. With the arrival of my new router table I have been making plenty of picture frames. 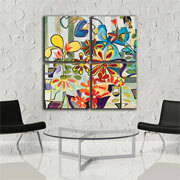 These colourful frames are sprayed with Rust-Oleum 2X in fresh hues. 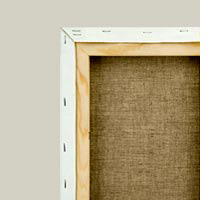 Use PAR pine and pine moulding to make a wooden picture or photo frame that can be stained or painted to match your existing decor. 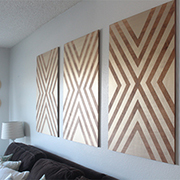 Here's an inexpensive way to make your own chevron wall art using wood stain and metallic paint and half a sheet of 9mm or 12mm pine plywood. You don’t need to wait for someone to come and measure your windows to receive a quote. Along with their made-to-measure blinds service, Blinds Direct also provide pre-made blinds should you require a combination of the two. 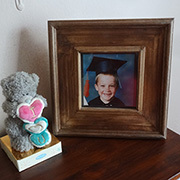 If your family photos are slowly piling up we have put together a collection of ideas for creative ways to display your family photographs and show them off. I have been wanting to create a vintage picture gallery for quite a while and finally managed to get it done as a project for easy DIY. I wanted it to look like a vintage cottage window frame, with individual panels for favourite photographs. Whether you prefer to buy art from recognised or new artists, or make your own works of art, there's no denying that art can be used to add pops of colour to a home. 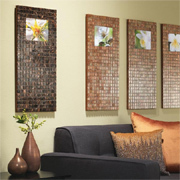 Make your own unique wall art with some SupaWood and mosaic tile sheets available from your local Builders Warehouse. 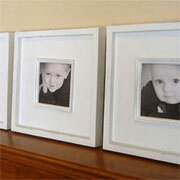 You can have the supawood cut to any size to create small or large photo frames for your home. Here's how to apply a faux finish that looks like old leather to give a cheap homemade picture frame a rustic and antique effect. For even more effect, we added pine moulding to the inside and outside edges. 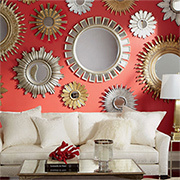 Over the past couple of years I have seen hundreds of ideas for sunburst mirrors and they continue to pop up. 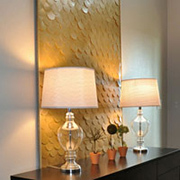 When you look at how much it costs to buy a sunburst mirror, looking a inexpensive ways to make your own is the way to go. 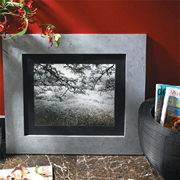 Making a plain picture frame is simple, but adding texture transforms a plain picture frame into a stylish frame that would normally cost big bucks. 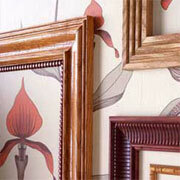 Use offcuts or PAR pine to make these picture frames and then add a distinctive faux finish. 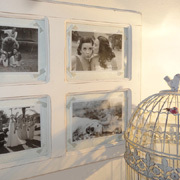 Got some old picture frames lying around and not sure what to do with them? 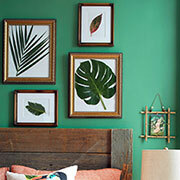 Here are 10 alternative uses for picture frames that you can easily tackle as a do-it-yourself project in a day. I finally managed to get to grips with making an arched window mirror. 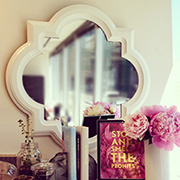 A client asked us to make this mirror for her bedroom and I have been mulling over the best way to do it. 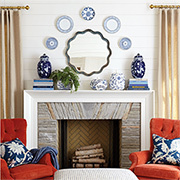 Here's an easy way to make your own arched window mirror. 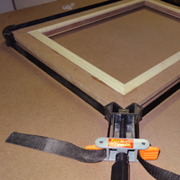 It's all fine and well being able to make your own picture frames but you also need to know how to mount your pictures to best advantage and display them for best effect. 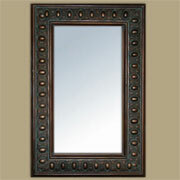 More often than not you come across some beautiful vintage frames but the mirror inside is not the original. 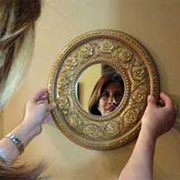 If you want to create an antique mirror you can easily transform any mirror to an antique mirror with this simple technique. 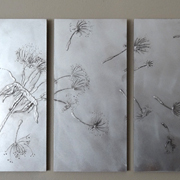 My dandelion art is on SupaWood and uses relief paint, which is then covered with Rust-Oleum titanium silver spray paint. I love it! At many DIY Divas workshops I have discussed ways of joining sections of timber or board together and based on the cost of the Bosch Biscuit Joiner, have looked at alternative ways that are more affordable - but not necessarily as easy. 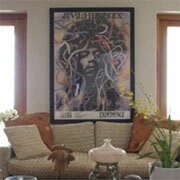 Do you have a wall in your home that screams for attention. Most rooms have a wall that could do with a little bit of dressing up and there are so many ways to add a bit of detail to plain walls. 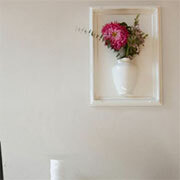 Take a look at some easy ways to add interest or create impact on a boring wall. 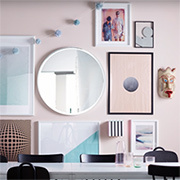 Still wondering how to create a picture wall? 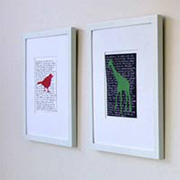 With this is mind I put together a collection of ideas and ways to hang art, collectibles and photographs, so that you have a visual reference for your next project. You've just moved into a new flat and you love it. But what can you do about all those bare walls? Whilst most rental agreements won't allow you to drill into the walls, there are ways to decorate your new place without picking up a hammer. Add a one-of-a-kind decoration to your bedroom: Hang an interesting, salvaged object on the wall as art in just a few simple steps. Search architectural salvage, flea markets and thrift stores for an interesting item. 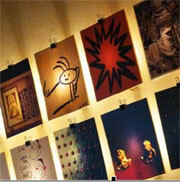 Don't be frustrated about hanging art on a blank wall. Regardless of what you do - it should inspire you. 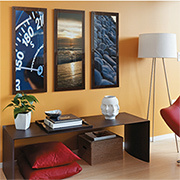 These days, there are no set rules for hanging and displaying art in your home, as long as it looks good. I have been a little obsessed with mirrors lately, especially round mirrors. I love them! You can expect to pay a small fortune for ready-made designs, but here's how to make your own on the cheap! Art is definitely in the eye of the beholder, which ultimately boils down to the fact that if you like it - why not? If you are looking for art to display on your walls, it should be pieces that you personally enjoy and not for the benefit of others. Unless, of course, you invest in art. I started with half a sheet of 16mm supawood that Builders Warehouse cut up for me into 30 x 30cm" squares. I marked a 15cm square in the centre of each board. All I did was tape the backside of paint swatches to the piece of paper already in the frame until the entire thing was covered with a monochromatic scheme of colours. 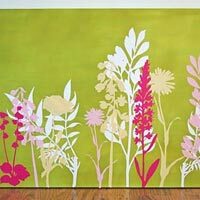 If you’re getting bored with your walls, using stencils is an easy and affordable way to add an effect without having to paint the whole room. 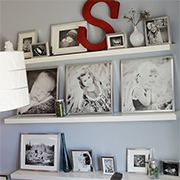 Adding a picture wall to a room is a lovely way to introduce a focal point and have all your family photographs on display. 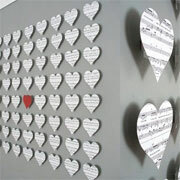 If you're looking for a quick and easy way to create high impact art - here's an idea that fun and unique! Certainly we think of flower arranging as an art, but we've never considered literally treating bouquets as artworks, by framing them as one would frame a painting. 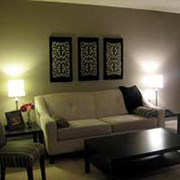 Pictures add colour and interest to your walls, and amassing a fine display is one of the oldest and most popular ways of turning your house into a home. 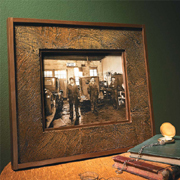 Here’s how to make an antique frame that looks stunning around a mirror or picture and won’t cost you a fortune. 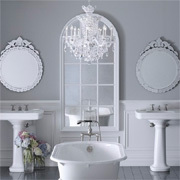 Our mirror frame project uses polystyrene crown moulding strips for a mirror frame that has plenty of detail and a light enough to mount anywhere. 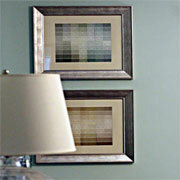 When it comes to framing art, the point of framing is to make the art look as good as it can. 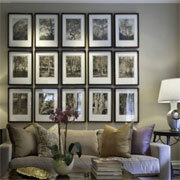 It is better to take cues from the artwork instead - a frame should answer to the room but not take orders from it! 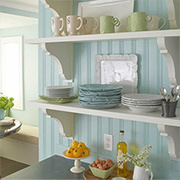 A few pieces of pine moulding or trim, or even polystyrene crown moulding, and you can create stunning frames on a plain wall. Use a Dremel Multitool to craft and carve your own unique artwork. Ceiling medallions are so pretty - such great architectural detail - I thought they would be nice to display somewhere other than the ceiling; somewhere more at eye level. How about the wall? 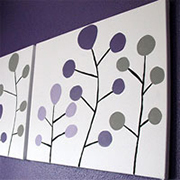 This is a great beginner’s project and is a quick and affordable way of getting beautiful artwork on the walls in no time! The French handwritten background adds a unique charm to this fun project. 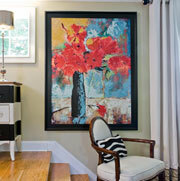 You don't need to spend a fortune or hunt high and low to find artwork that you like. In this project we show you just how easy it is to create your own unique art. I really wanted to find a nice way to add colour to a blank wall and thought it would be perfect to do a stencilled canvas art. All of the art I saw in stores was either too expensive or didn’t go with my space at all, most of the time it was both! If you aren't very good at painting, applying vinyl cut outs to a canvas is an easy way to create your own unique art. 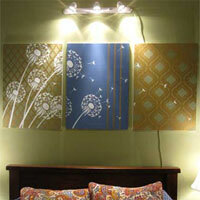 You don't even need to be artistic to create your own wall art ! 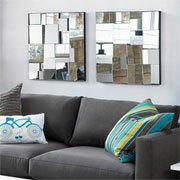 I keep coming across these unique mirrors in my searches throughout the Internet, longingly wondering if they would ever reach our shores. But then I realised, "Why Wait?" So I decided to tackle this as a project for everyone to do... enjoy! Everyone wants to save money. 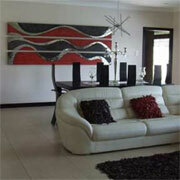 Painting your own, colour matched art can be a lot easier than you might think! enjoy!